Here is the link to register to sing in Manchester on the 7th of June. £15 donation to complete registration here. The songs can be found below. You will be sent a password to access the sound files. 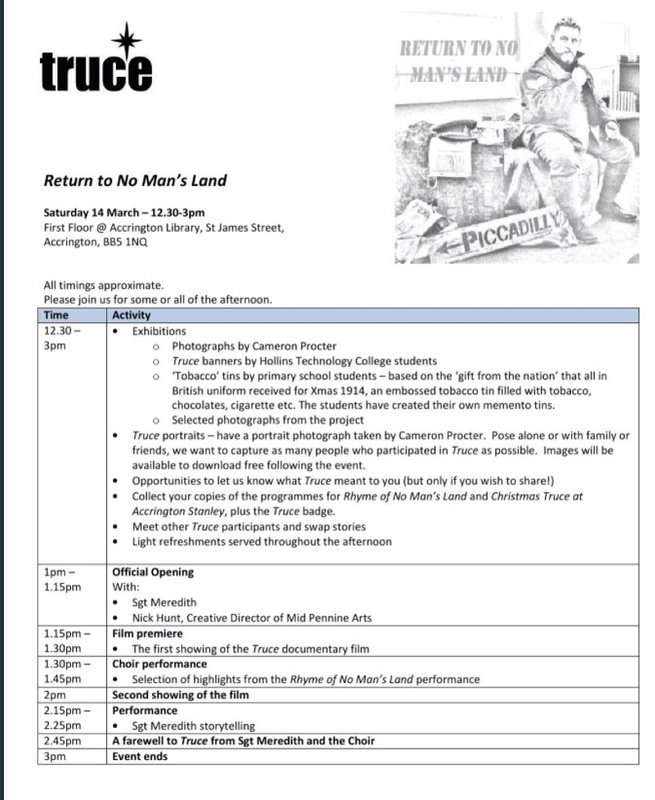 Truce from Mid Pennine Arts on Vimeo. 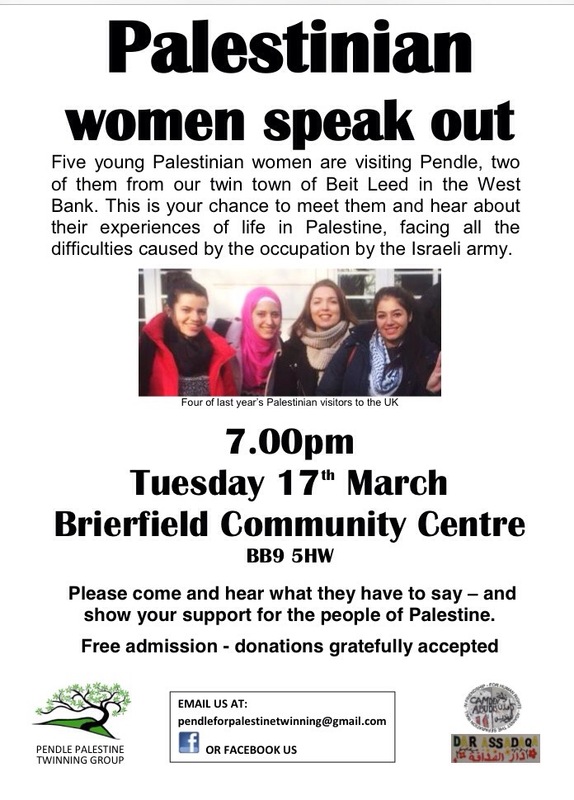 Singing in Brierfield on the 17th March. 2015. Registration for Wateraid Sing North. You may attend the rehearsal on the 22nd March even if you can’t make the 7th June WaterAid sing in Manchester. The ‘Wateraid’ collection bucket will be passed around for contributions on the 22nd. So don’t forget to bring some money then too. Here are some ways your money will benefit others. 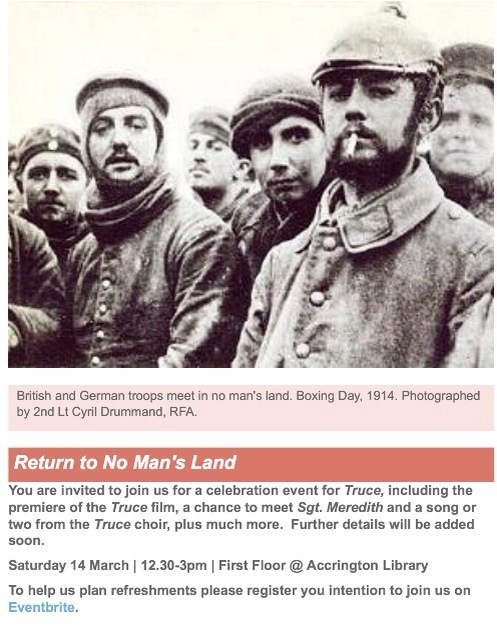 Return to No man’s Land. March 14th.